Each year I wonder what to get family and friends and I want to find that perfect gift. For my crafty friends it’s super easy and I thought I would make it easier for you as well! The connections we have all made with online friends over the years is amazing, and if you feel the way I do, those friends are just as close to your heart as local friends. Do you have an online friends special to you? I know it can get costly to ship gifts to everyone so I wanted to give you a great gift idea and also receive a gift from me in return! 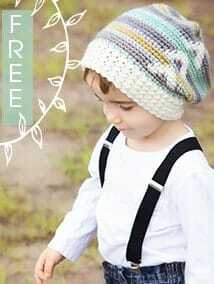 Here’s how it works: Just choose any pattern or e-book from Briana K Designs Ravelry shop. Use the ‘send as gift’ link to add the pattern to your cart and gift it to a friend. By December 26th (or before, giving myself some wiggle room) a copy of the same pattern will be sent to your Ravelry account. • All patterns and e-books are available for the sale..yes ALL!! • The pattern you gift is the one that you’ll receive. • Your recipient does not have to be a Ravelry member, but you will need a Ravelry account to participate. • Offer expires midnight on Christmas day. And lastly and most important Merry Christmas and Happy Holidays!!! We can get all caught up this time of year and as I reflect on what’s most important I continually come back to the wonderful relationships and personal connections we gain on our path through life. I’m so grateful for the crafty friends!